What's the next best thing to actually taking a trip? Enjoying the photos, stories and memories when you get back. So I'm searching through my digital travel archives so that I can participate in the Passport Party Project photo-a-day challenge for July. I think that passports are important. Without one, you are limited as to your destination. Exploring America is wonderful and I love to do it. I also want to visit other countries. I'm sharing pictures of some of my favorite places and experiences during the photo challenge on the Traveler For Good Facebook Page. The day you get your passport is exciting. You start imagining all the places you'll go in the life of that little blue book. Share that excitement with others! Do you want to share your favorite travel photos? 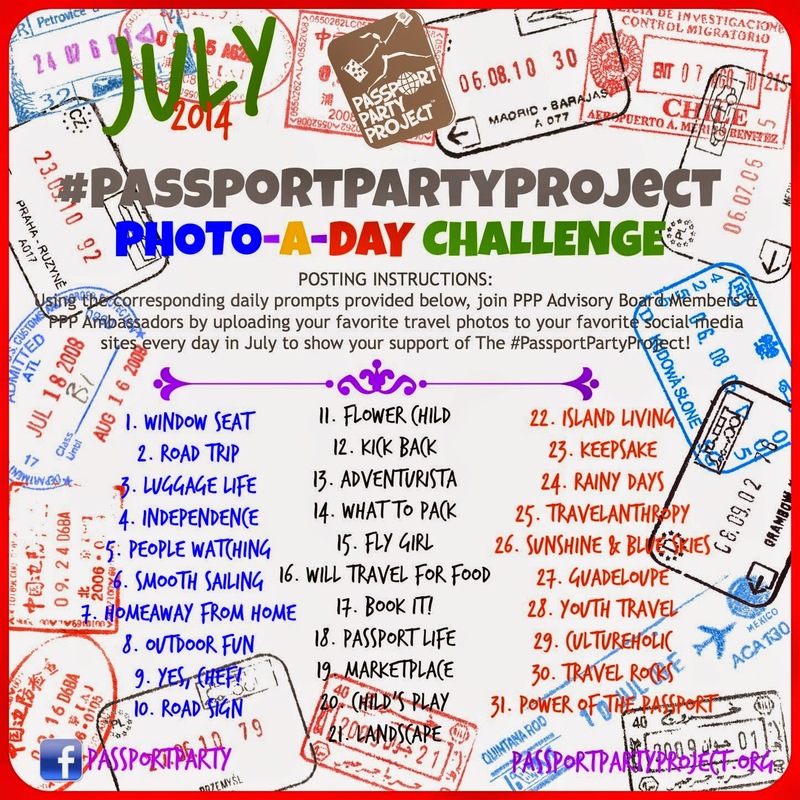 Use the prompts below and post your pictures via social media using #passportpartyproject. That's it. What is the passport party project? A grass roots initiative that helps provide girls ages 11-15 with their first passport - and for some, the opportunity to get their first stamp. I feel fortunate that my parents made sure I had a passport at that age and encouraged me to use it in high school, college and beyond. Celebrate your travel independence in July by keeping up with the Passport Party Project blog or on Facebook.